Curatron is an online software tool that involves artists directly in the curatorial processes of the exhibitions in which they participate. Curatron is an anonymous system of peer evaluation and selection, which enables a pool of artists to select co-exhibitors from amongst a group of applicants of which they are a part of. The prize sought out by the Curatron software is the algorithm for the perfect, or at least perfectly coherent, thematic group show. With the cooperation of human artists, this may just be achievable. 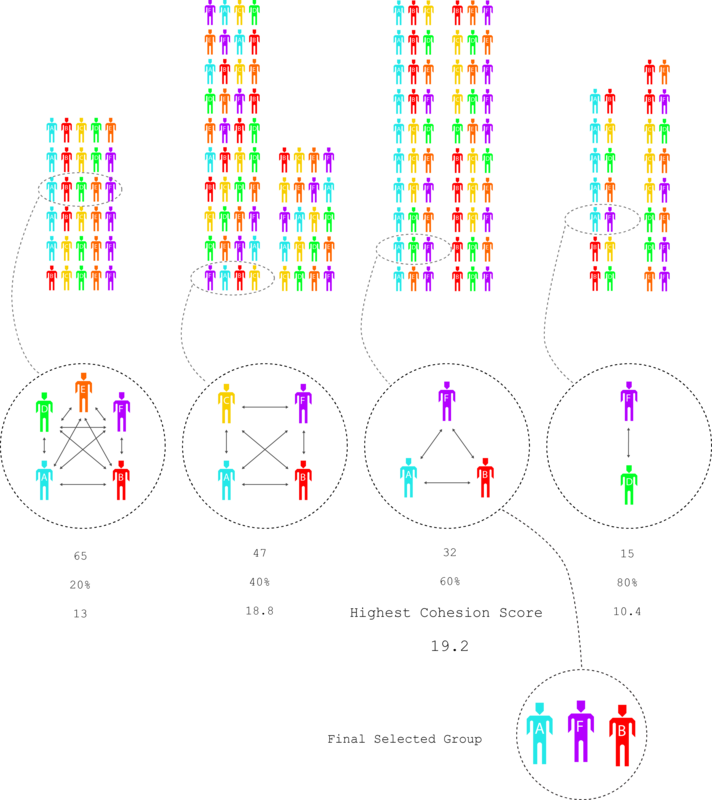 The algorithm that selects the participants is based on two values that we call “self cohesion” and “group cohesion”. 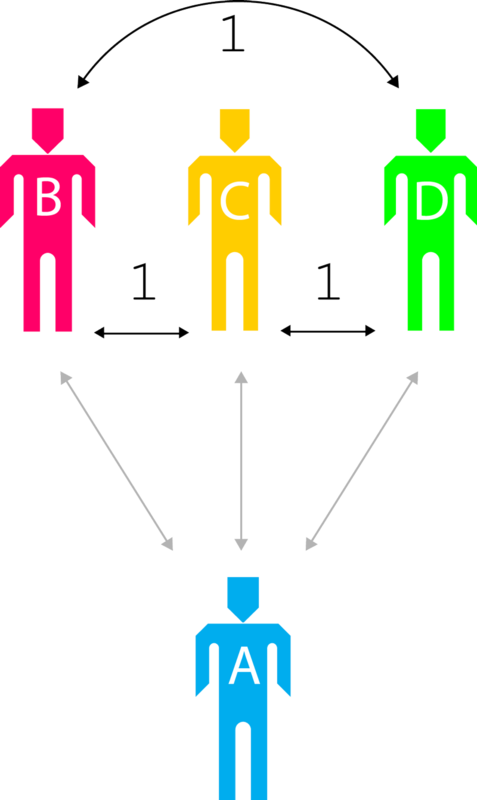 Each time a person selects a group they would prefer to exhibit with both self and group cohesion values are created. 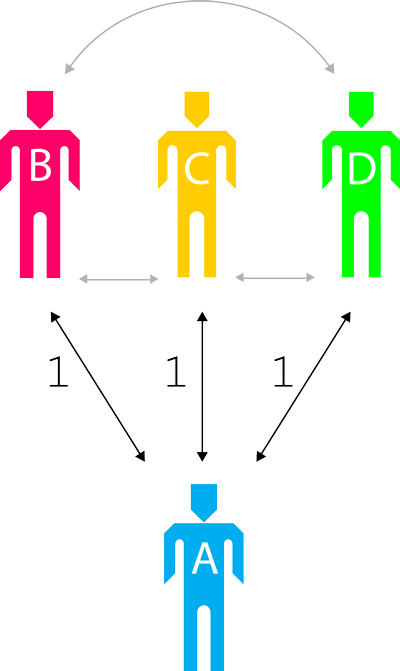 Self cohesion values exist between a selector and the persons they would like to exhibit with. 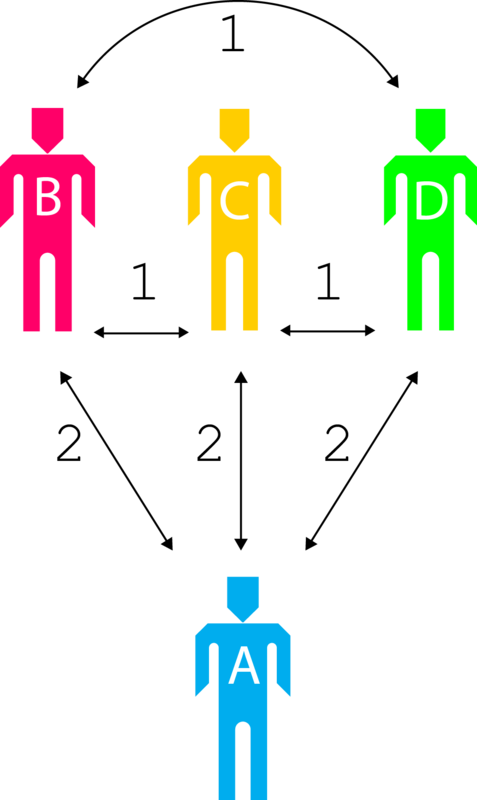 Group cohesion values exist between persons selected in a group together. The self and group cohesion values can be weighted putting more emphasis on self cohesion or group cohesion. 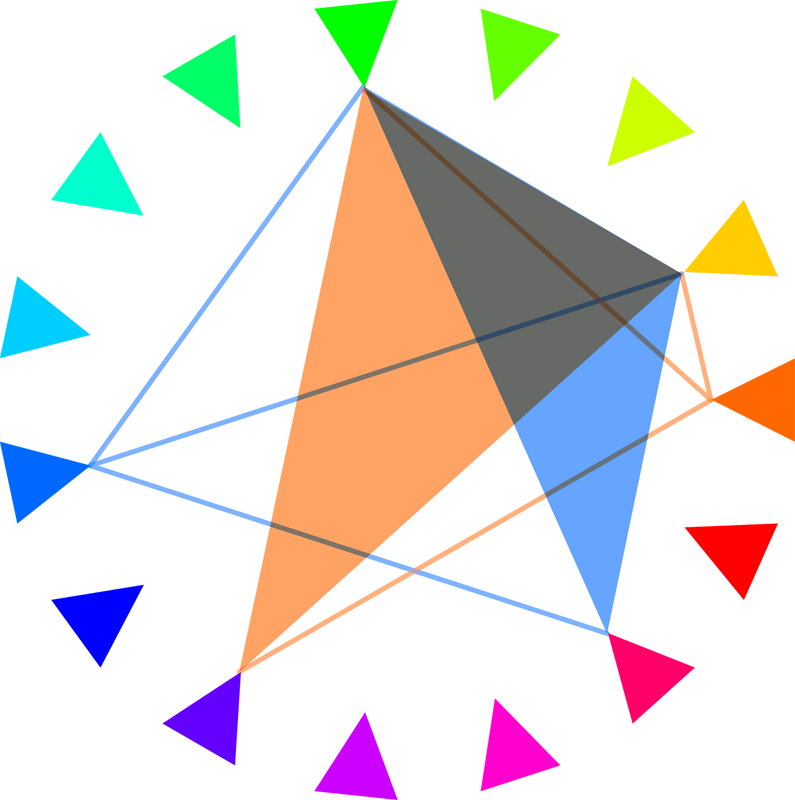 Forinstance, self cohesion selections could have a value of 2 and group cohesion values could have value of one. This would put more emphasis on the selections made by the selector to the individuals in the group and less between the individuals within the group. 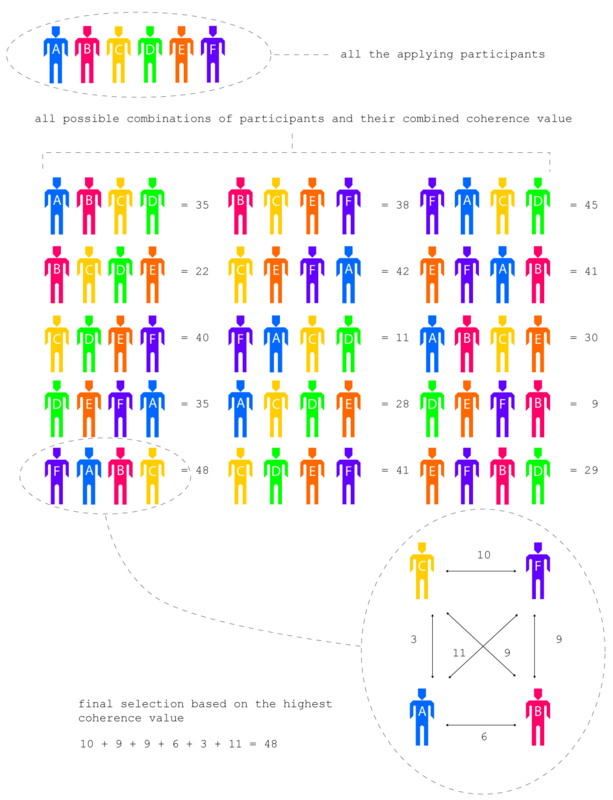 Each time a participant selects a group they prefer to exhibit with, the coherence values that are generated are added to the coherence values of previous group selections. 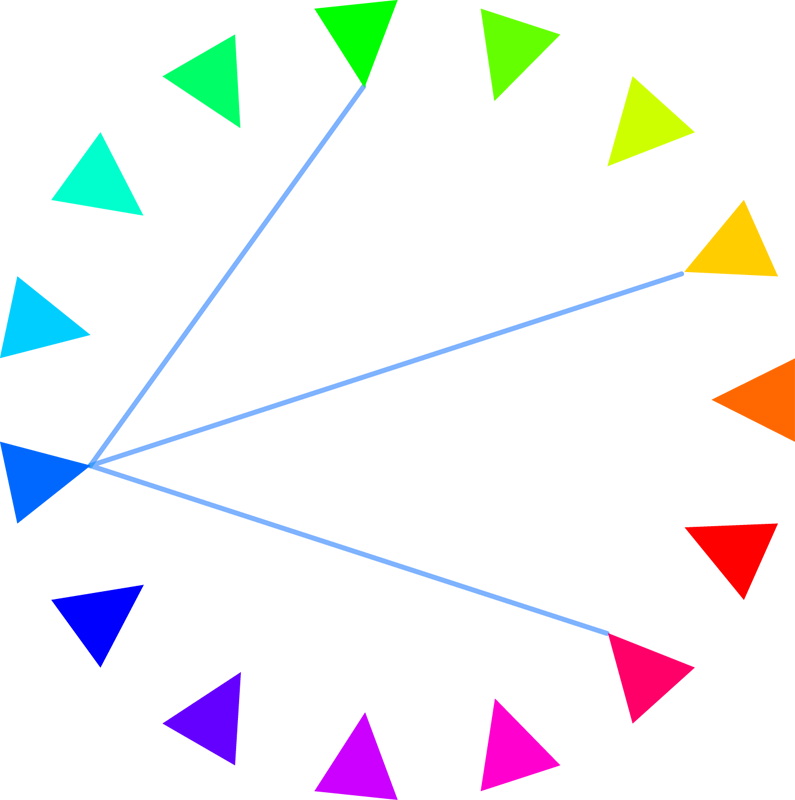 After the selection period is over the combined cohesion value of each possible group is calculated to find the group with the highest combined cohesion value. The group with the highest coherence value is selected for the final exhibition. 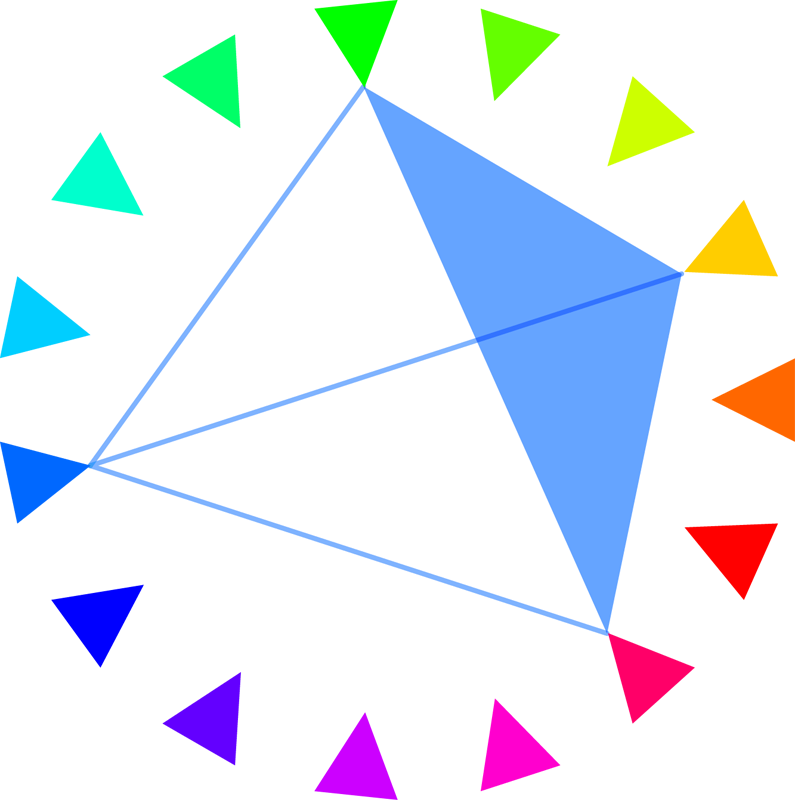 The following diagram is a small example of how all the combined cohesion values are calculated. We use a small group of five participating artists with a final selection of four to demonstrate the calculation more clearly. In some instances we will use a multi-range algorithm which will select among a range of different size groups. It was implemented as of May 23rd, 2017 and is similar to our original algorithm. We test each possible combination of artists but within a range of possible group sizes, to see which group had the highest cohesion number. Groups with a higher number of artists will undoubtedly have a higher cohesion number due to their size. So only a percentage of the cohesion number will be derived from the group to even out the probability of selection. If a singular artist has a high popularity ranking in the system in comparison to the group with the highest cohesion factor then that artist will be selected for a solo exhibition.